Incredible, decadent suite with bath in the open space and an array of treasure troves. The name fully captures the pure essence of this beautiful and eclectic townhouse in Pimlico, riddled with an array of charming details. You most definitely don't feel like you're staying at a hotel, but instead a charming residence in a classic English and hip spot in London. Just 5 minutes from Victoria train station and a heartbeat away from dining spots and leafy walkways, a stay at this boutique hotel is simply a must and one if you really want to be among the locals. 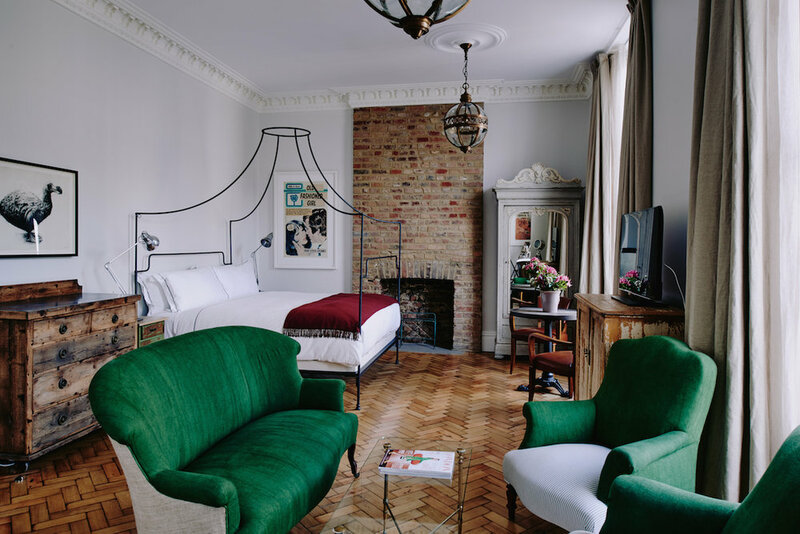 Artist Residence London is the third venture from hoteliers and design duo Charlotte Newey and Justin Salisbury, and also happen to have 2 more sister hotels in Brighton and Penzance. Their adventure actually began with Artist Residence Brighton, where Justin's mother had acquired a townhouse but due to an accident Justin just aged 20 had to takeover. At the time he was young and had no real fund to support the venture and so created an ad in Gumtree to call upon local artists, who then co-created the space. Despite initial hurdles it stands to today as a pure testament to resilience, local collaboration and soul. The building in Pimlico was previously a public house dating back to 1852. It was designed by Thomas Cubitt, who was known for leaving a distinct mark on the Belgravia and Pimlico areas of London. Careful attention to detail was taken when it was restored in 2014 - it actually took approximately two years to complete. During this period they sourced artwork, and unique finds to build the truly artisan vibe it has today. Breakfast at Cambridge Kitchen downstairs is a great way to start the day. Not only can you get a hearty breakfast but you also get top service and a pretty flat white. Artist Residence is an intimate 10 bedroom boutique hotel. All rooms are delightful, oozing with sheer style and each possessing thoughtful details. Our favourite is the Grand Suite. The emerald sofa, bespoke four-poster bed and decadent items are reminiscence of vintage romance. Not to mention the his and hers sinks, freestanding cast-iron bathtub and floor to ceiling windows - making it pretty hard for any guest to actually leave. Loft is equally exquisite; a rooftop dream with an in-room 1930s French-style tub, exposed brick work and wooden details. There's also a ping-pong room and comfy seating area & work space for guests to enjoy and relax in - great for sunny afternoons or curling up on crisp winter days. 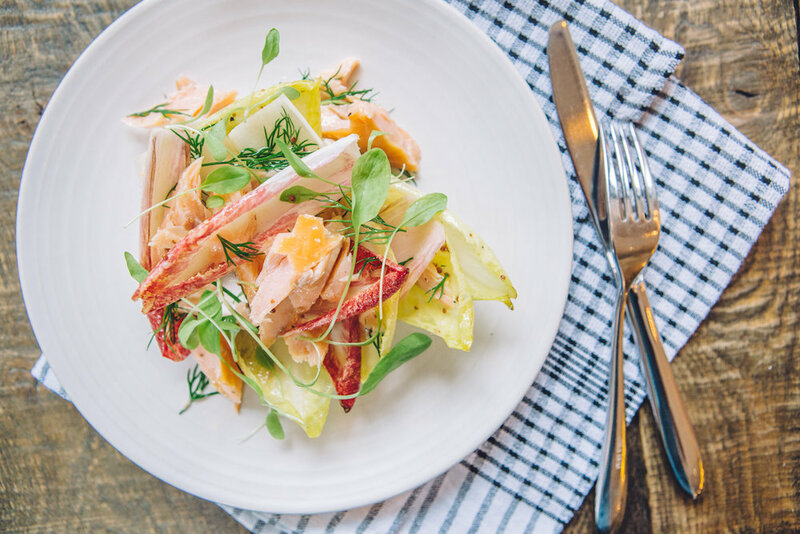 Cambridge Street Kitchen is located on the ground floor and is open all day serving breakfast through to dinner, with a real emphasis on seasonal produce. Pop yourself up on one of the stools by the bar and see the chefs at work cooking up your cumberland sausages and portobello mushrooms, or get cosy in the corner with a book and enjoy a mid-afternoon snack and a glass of wine. There is a great atmosphere, with the bustle of people coming and going but never too much, and the gentle sound of people passing by. The decor is very much in line with the hotel, a little funky, colourful and down to earth. The lighting above the reclaimed-wood tables is rather impressive. Clarendon Cocktail Cellar is a cocktail bar downstairs in the former pub cellar. Expect super cocktail from resident mixologists and complimentary popcorn, sprinkled with coffee, bacon dust or sea salt. True to form even the cocktails are inspired by great works of art. Tips - Do take advantage of breakfast downstairs at Cambridge Kitchen. The cosy and eclectic interior of the loft room. Delicious food over at Cambridge Kitchen, open to guests and locals nearby.